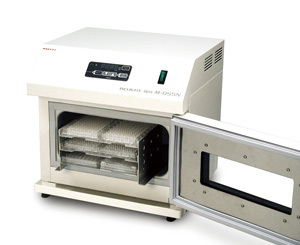 Compact incubator for microplate which can utilize valuable lab space. Aluminum rack which can put in and out 6 microplates (2 x 3 levels) at the same time. Other container can be put when not using rack. 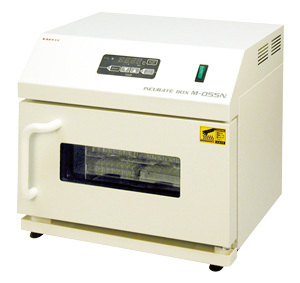 Temperature setting and display is operative and repeatable digital system. Frequently using temperature can be memorized up to 5 and can be recalled by one push of button. That makes temperature setting operation simple. It is designed based on concept of “one machine for one person”. Compact size (setting area 350 x 288mm) which doesn’t occupying space in narrow lab. Adopted thermoregulation with excellent temperature distribution. 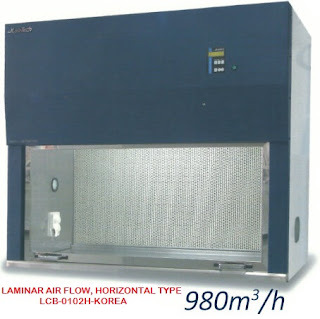 Though it is compact size, it can take large inside chamber area since this temperature regulation method does not require fan or motor for agitating chamber air.